1. 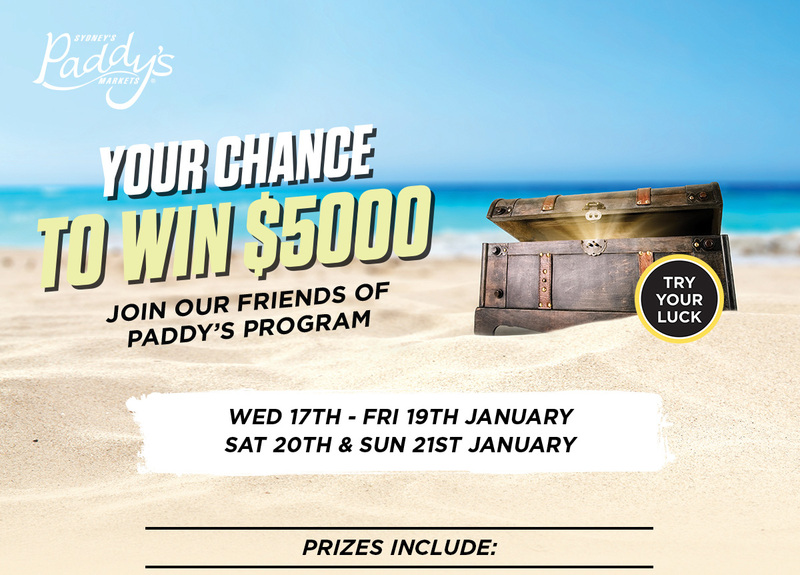 If you aren’t already a Friends of Paddy’s Member, sign up by clicking the link below before the 17th January for your chance to WIN. Extra keys can be earned during the promotion period. Check your Member dashboard for more details. Sydney Markets Limited takes no responsibility for the accuracy or the completeness of the content of this site.